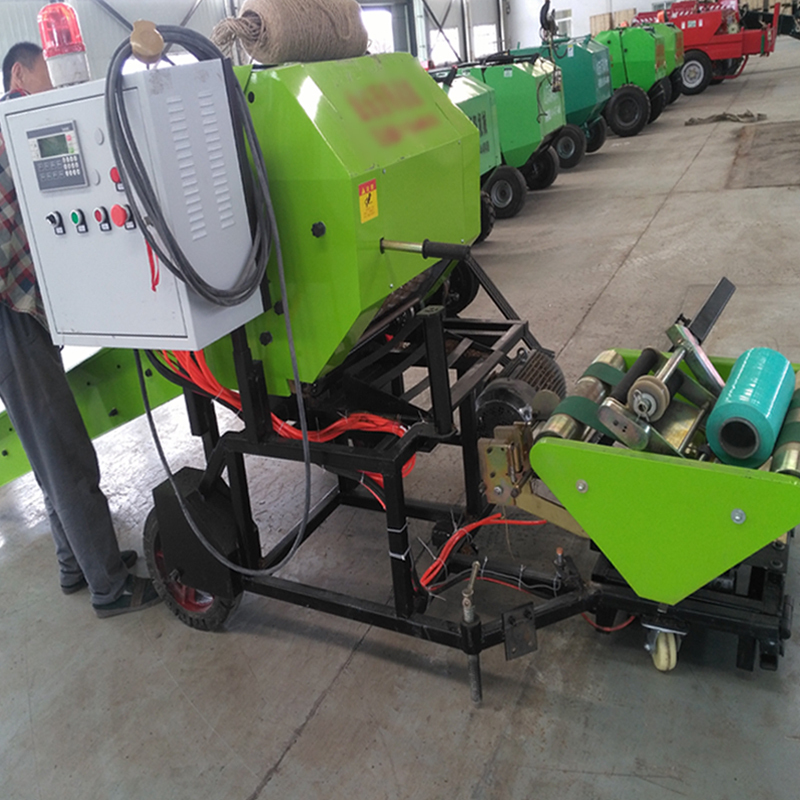 Silage Bale Machine has small size which is easy to remove and storage, and have high work efficiency, so it`s very popular in farms. 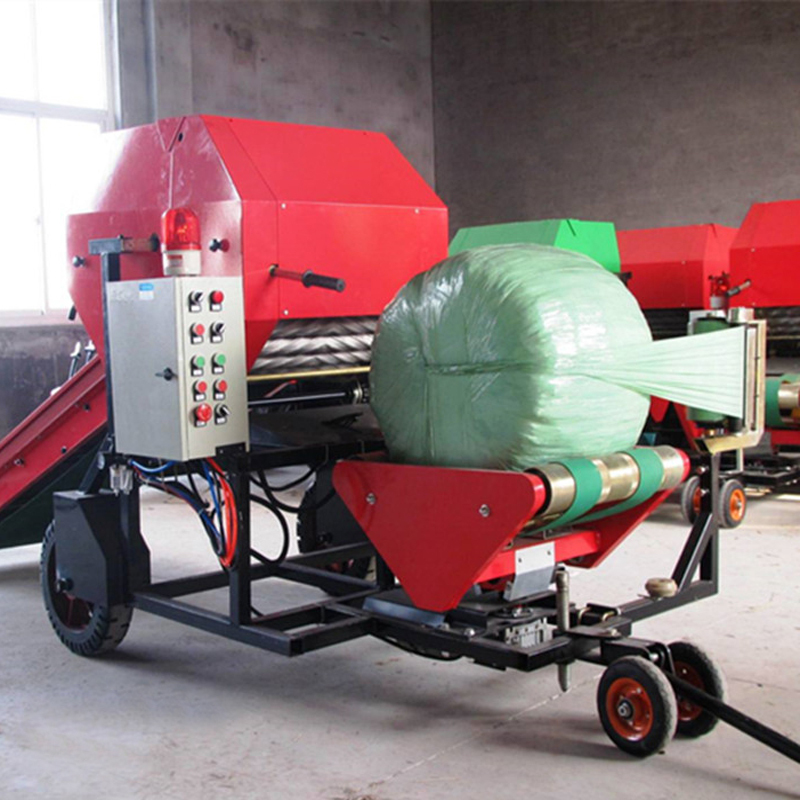 Silage Bale Machine is composed of conveyer belt, silage bale space, Bale Wrap platform, Silage Wrap Film holder, etc. 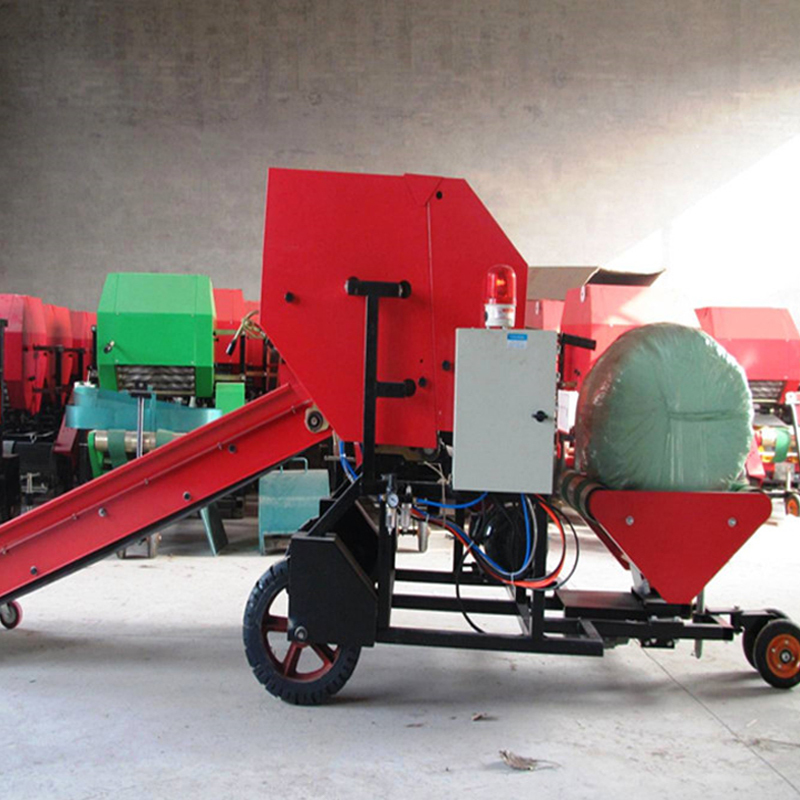 It`s mainly used for silage, corn and grass bale in farms. Workers first put the silage onto the conveyer belt which can deliver silage to the central bale space; the bulk silage can be packed together into a round roll in the central bale space, and be wrapped by hemp rope or Bale Net ; then the round silage roll rolled forward onto the bale platform, finally be wrapped by the Silage Wrap film. One silage bale usually weight 70-90kgs. 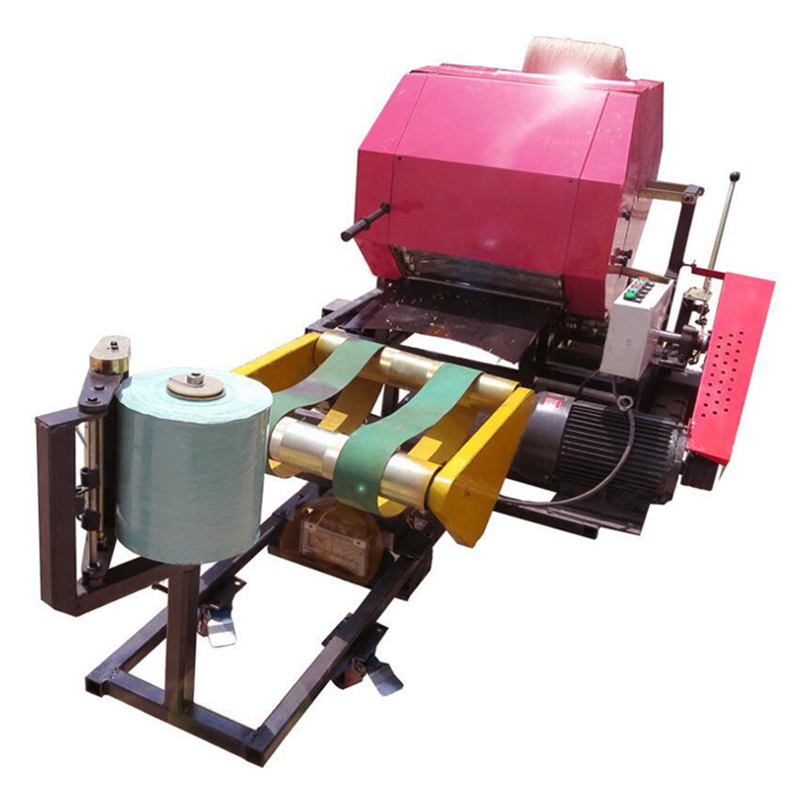 There`re two kinds of bale machine: Automatic bale machine and semi-automatic ones. 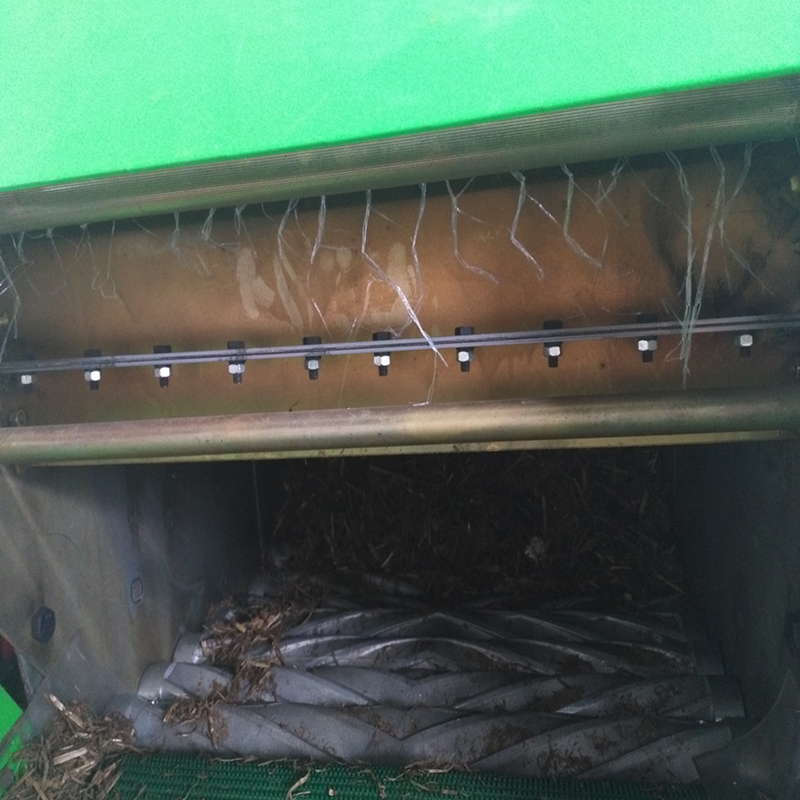 For automatic machine, workers just put silage onto the conveyer belt, and it can move forward into the central bale space and pack itself; after packing, the space door will open to release the bale and then close itself; the bale can be wrapped by Silage Film automatically and fall down the ground as well by itself. 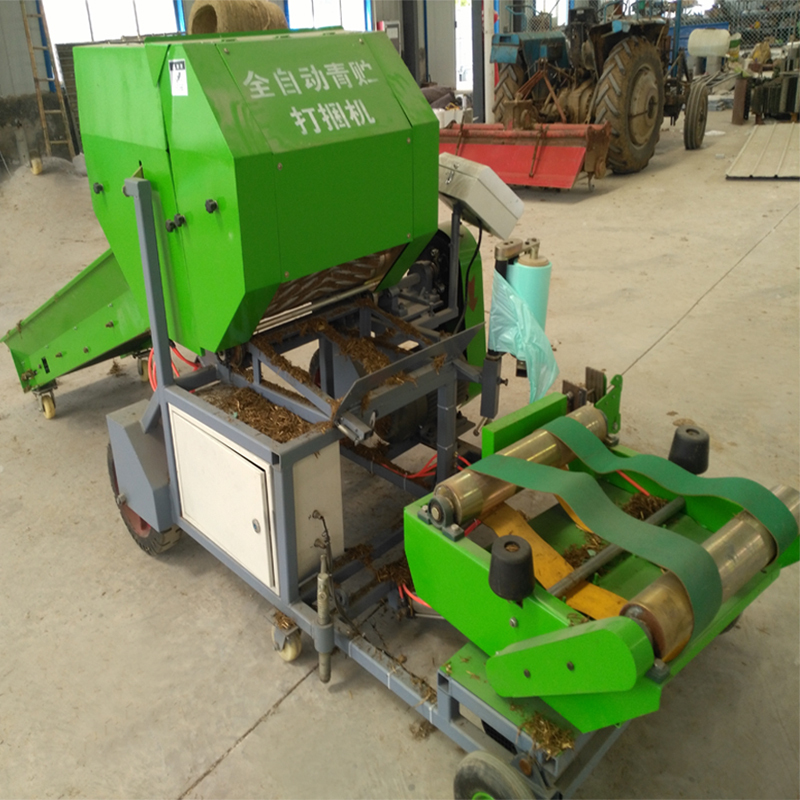 For semi-automatic machine, workers have to cut the hemp rope or bale net by hands after silage finished packing in the central space; then workers have to open the space door to release the silage round roll and close the space door by hands; finally workers have to start and finish the silage wrapping progress, and pull it down to the ground by hands too. 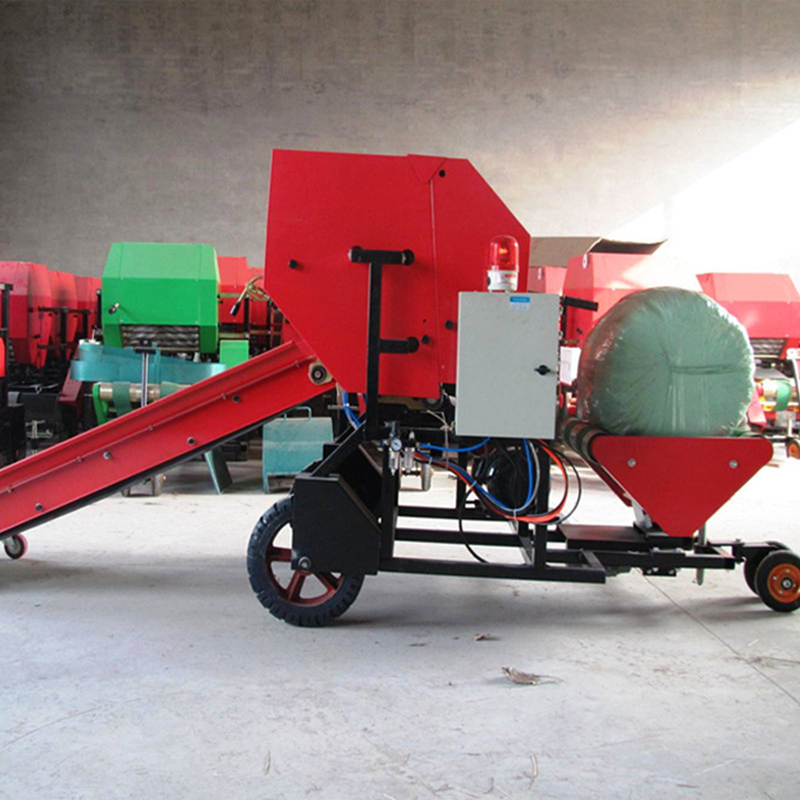 Looking for ideal Automatic Bale Machine for Silage Manufacturer & supplier ? We have a wide selection at great prices to help you get creative. 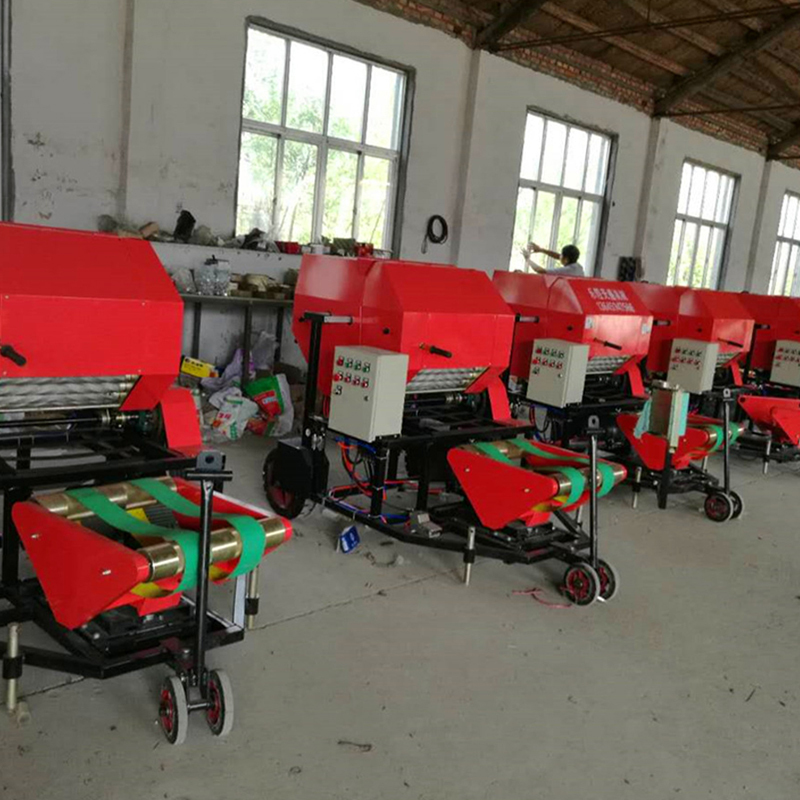 All the Small Size Bale Machine are quality guaranteed. 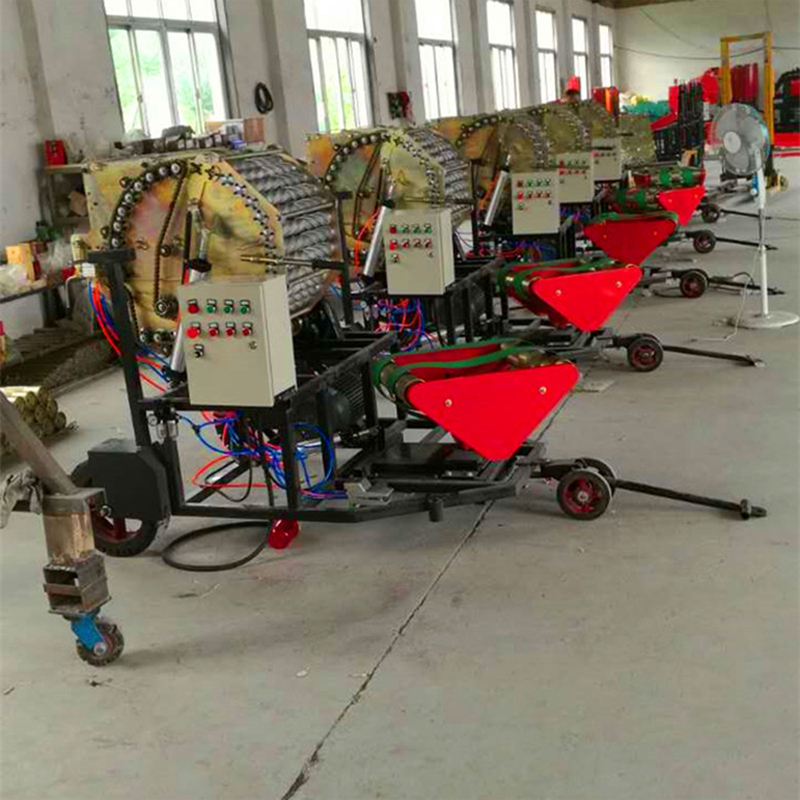 We are China Origin Factory of Bale Machine for Sale. If you have any question, please feel free to contact us.